People who really enjoy posting on social media platforms like Facebook continue to be shocked that people have strong feelings about their crazy, violent, racist, or entitled posts. For cops, this is a very serious matter. 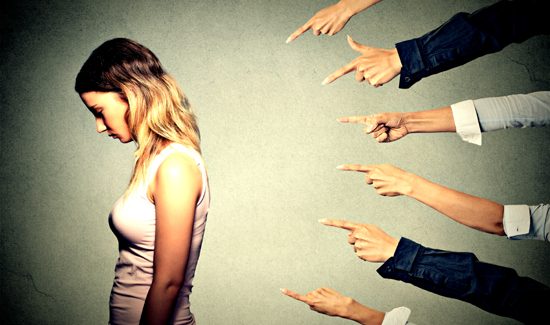 Civilians, no matter how outrageous they get on Facebook, cannot face disciplinary action for conduct unbecoming or bringing disgrace to their agency. And here’s the thing to remember: it doesn’t matter if your post was relatively harmless and reasonable. Even if it turns out you made a mistake, the internet will eat you alive. 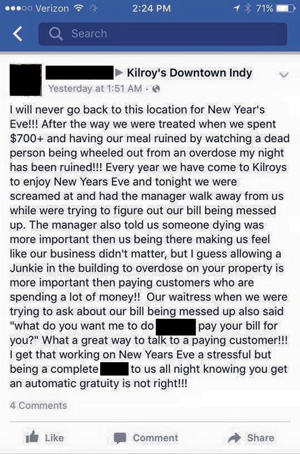 Case in point: an Indianapolis woman recently posted a complaint about not receiving her bill in a timely manner while dining out on New Year’s Eve with friends at a local bar. In a lengthy Facebook post, she claimed the staff ignored her because they were too busy wheeling out some junkie that OD’d in the bathroom. It turns out it wasn’t a junkie at all. It was a sweet old lady that suffered a major stroke. The woman who made the mistake has since deleted her Facebook page and is now a public laughing stock. So, folks, the lesson here is that it’s a bad idea to post crap on Facebook when you’re drunk, angry, and not very bright.